The following are shows that I hope to attend during the coming 2007 season. Of course, all are subject to confirmation so please check with the organisers before travelling. Trentham Gardens - August 5th. Check out this web site if you want an entry form for this or any other Transtar event. Nantwich Festival of Transport - August 12th. Now a one-day show this is getting quite busy. Set on the Barony playing fields there's plenty of room for lots of vehicles and stalls. 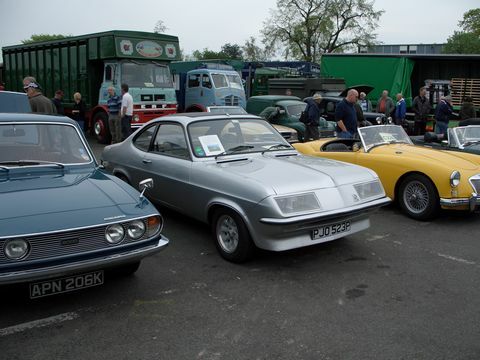 VBOA Autojumble, March 11th - A much bigger autojumble this year at a new venue just to the South West of Coventry. 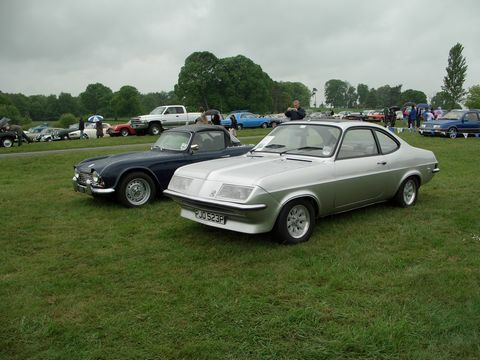 Although a lot of the content was for more modern cars, there was a fair amount of Firenza-related spares. One new addition was low-cost tables which were taken by enthusiasts and club members to clear out their own surplus parts, along with the more usual traders pitches. This show is growing in size every year, and it's nice to see something for us Vauxhall fans alongside the more usual MG, Triumph, Ford, Jaguar special events. Hopefully it will continue to get more support. I ran into a lot of DSG members and friends from the show scene and had a good catch-up. Sandbach Festival of Transport, April 22nd - A good turnout for this show saw my car mixed in with the rest of the vehicles due to a mix-up on the way in, normally the static exhibits are in a separate area. A wide range of classic cars and trucks, along with some modern vehicles from local hauliers, and a small number of steam traction engines. Weather was generally dull with the odd light shower, but not as bad as some years. The show for 2008 will be a two-day event, so hopefully there will be a little more in the way of stalls and other attractions. Chomlondeley Castle, May 13th - a fine start to the day soon gave way to light rain which continued for the rest of the day. A nice turnout was spoilt by the weather, which saw to it that many of the exhibitors were starting to leave just after lunch. 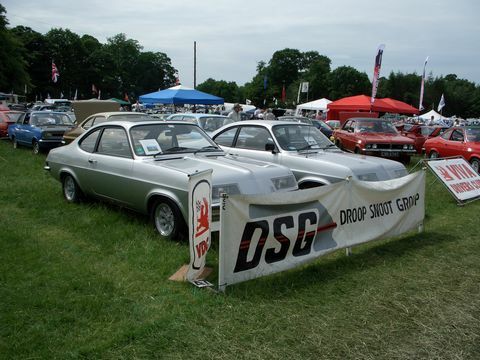 The new organisers seem to have addressed the problems of other years where large portions of the show were given over the modern cars - although there were some newer vehicles in the showground, they were at least interesting. Elephant Classic Car Show, May 20th - a small gathering, this show takes place on a field in the back of the Elephant public house in Shavington, Cheshire. As it's fairly local I was able to leave the car there for the day and return to pick it up in late afternoon. 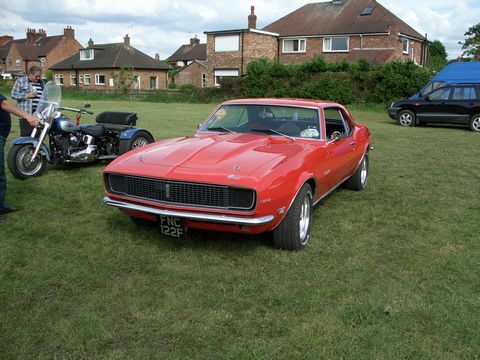 Vehicle on show included a number from the South Cheshire Collectors Car Club, as well as some hotrods and classic American vehicles. Tatton Park Classic Show, June 2nd and 3rd 2007 - always a busy show, this year the sun was shining for both days. We joined up with the Viva Drivers Club to present a joint stand with Viva HA, HB, HC, Magnum and Firenza all represented. VBOA Rally, Billing Aquadrome - I decided to give this show a miss this year, partly because of the weather and partly because I'm working on my Sportshatch. Maybe next year.